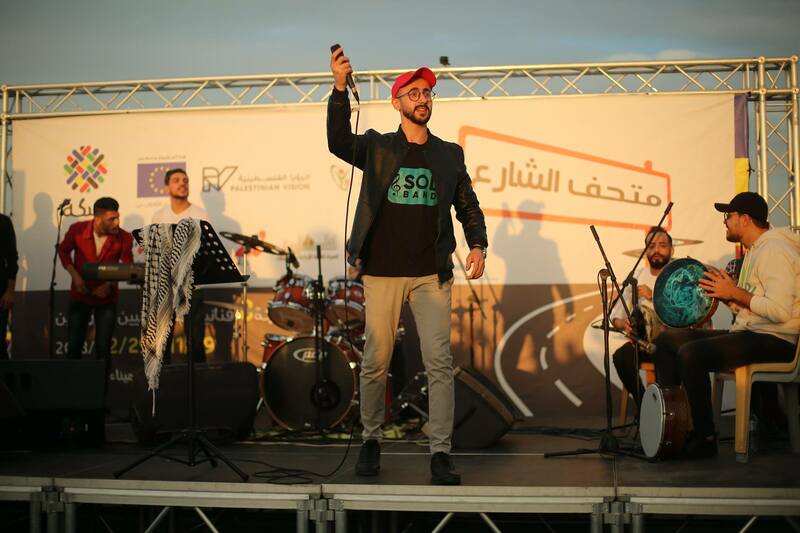 The European Union supports Palestinian and European civil society organisations working toward social cohesion and a unified Palestinian identity through culture and arts. The result brings a sense of inclusion in the world and its culture. Palestine, despite its tiny area, is not a cohesive place. While Palestinians are unified by their aspiration for freedom and self-determination, they are a diverse population in many aspects. The physical fragmentation of the Palestinian territories into the Gaza Strip, the West Bank and East Jerusalem, has taken its toll on every facet of the Palestinian life. The fact that each territory is controlled and governed by a different entity has fuelled the lack of Palestinian cohesion. Resentful of this reality, most Palestinians are eager for a unified Palestinian identity. Youth are spearheading efforts toward this end and the European Union (EU) supports them in many ways. 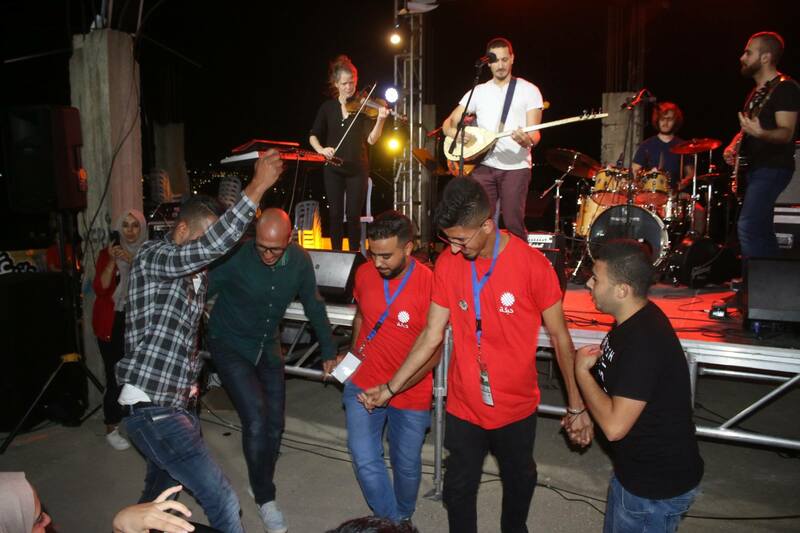 The Jerusalem-based Palestinian Vision (Palvision) Organisation and the Gaza-based Youth Without Borders Forum have identified cultural events and gatherings as a mean to fostering a positive and unified Palestinian identity. 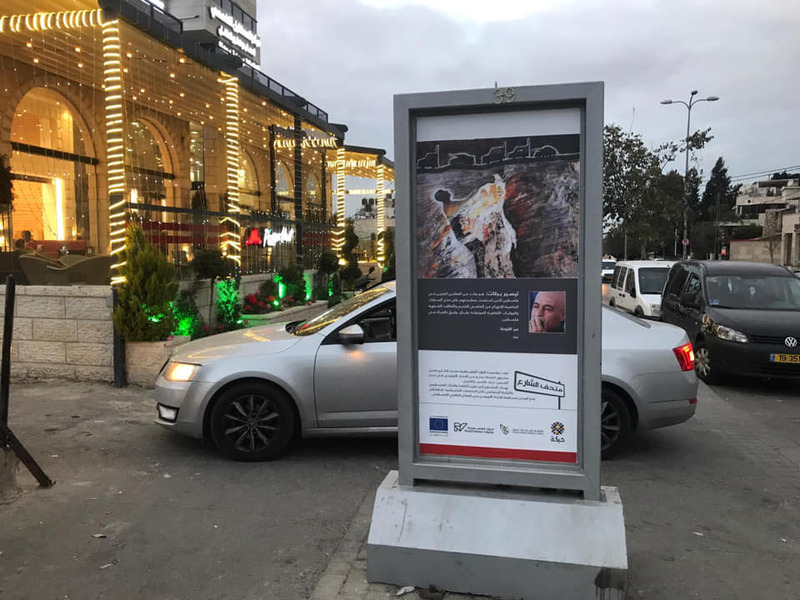 Together with a partner organisation from Slovenia, they designed the Habkeh project, a joint initiative between EU and Palestinian artists which aims at bringing culture and art to the streets of the West Bank and Gaza Strip. Maram Rajabi, the project manager, declares: “We targeted marginalised areas such as refugee camps and conservative towns rather than areas regularly exposed to cultural events and art performances.” Yasmin Assad, communications officer with Palvision, explains that by targeting marginalised communities, the project contributes to enforcing the Palestinian identity in those areas. 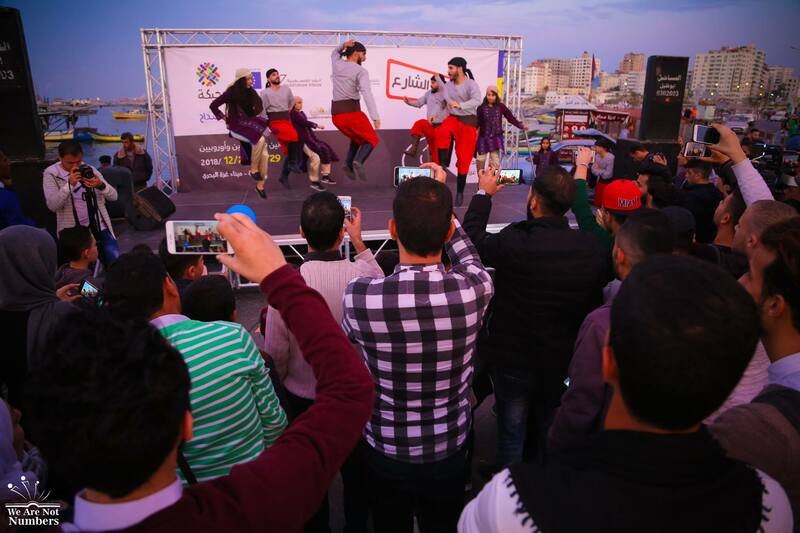 The Habkeh project is comprised of an integrated set of activities including the Al-Sateh (Rooftop) festival; the street parade; the street museum; and the selfie studio. 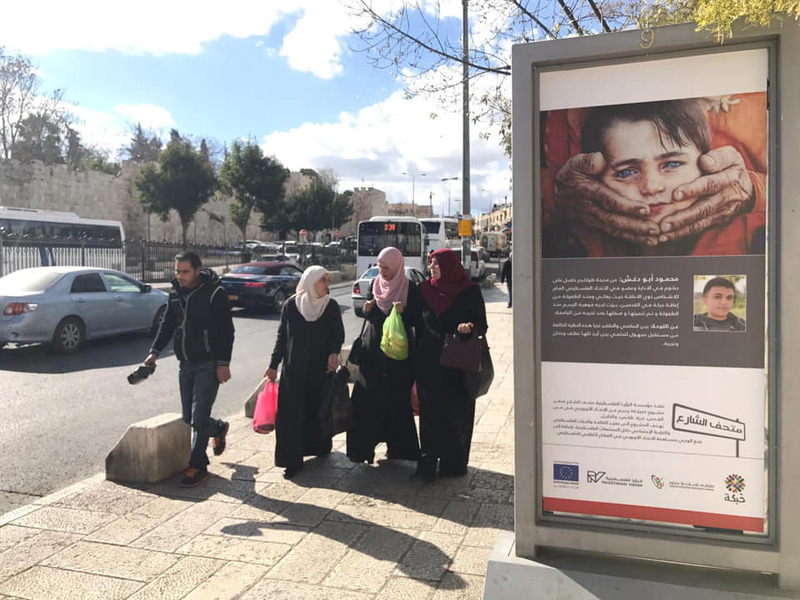 It is implemented in Hebron, Nablus, Dheishe Refugee Camp in Bethlehem, East Jerusalem and Gaza City with a total European Union grant of EUR 176,734, covering 80% of the project’s cost. The Rooftop festival was a three-day celebration on the rooftop of a house. 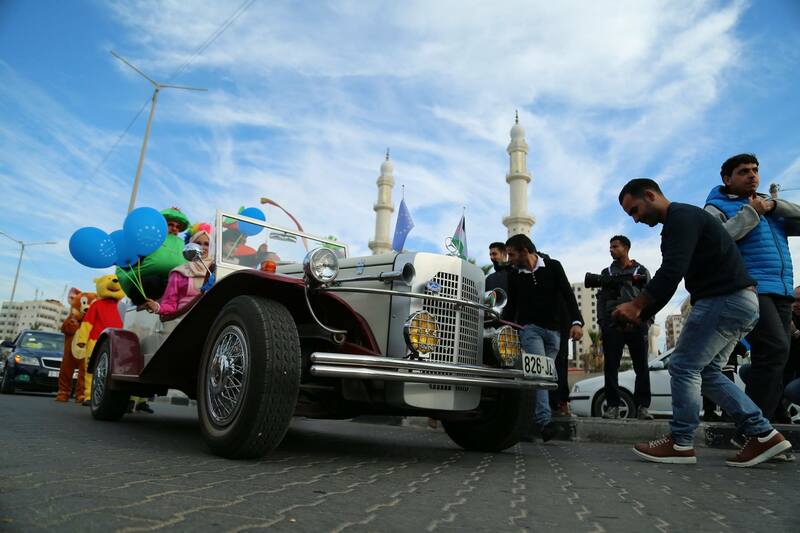 It resembled old-day celebrations in Palestine. 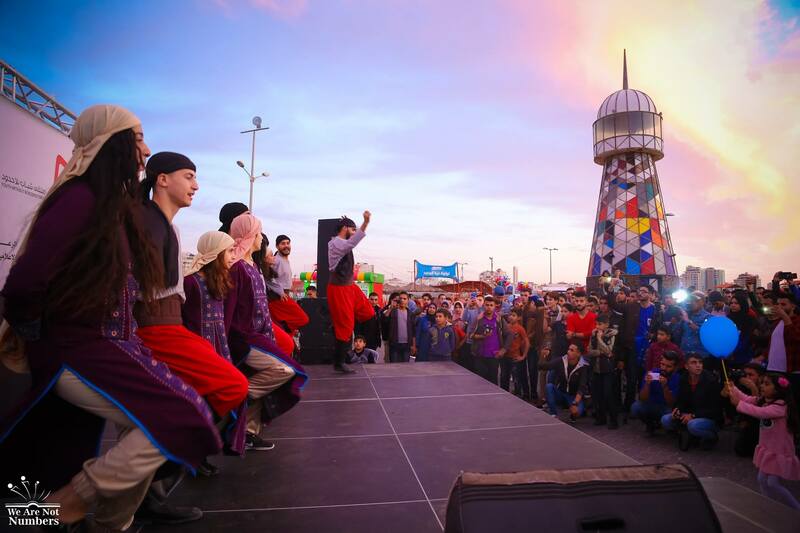 “We wanted to show that holding festivals celebrating our culture and strengthening our identity does not require a lot of money,” affirms Assad. 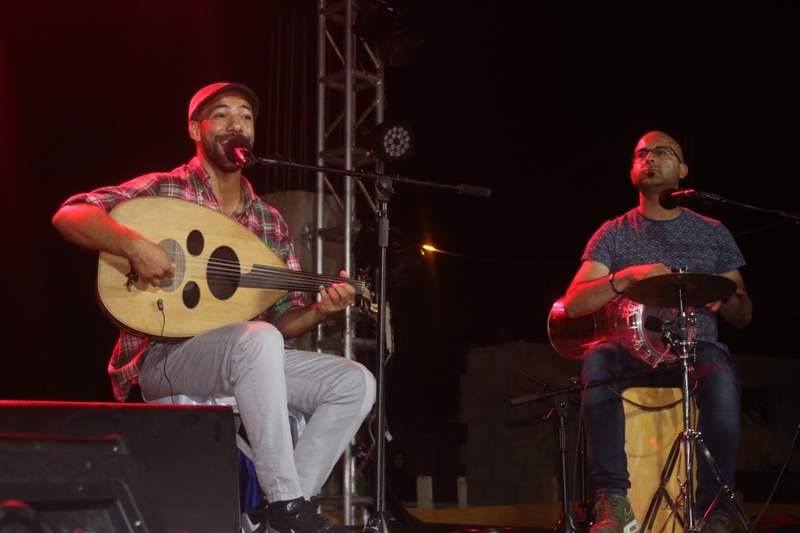 The Rooftop festival grouped Palestinian and European artists in joint performances reflecting total cohesion between the Palestinian and European music and voices. 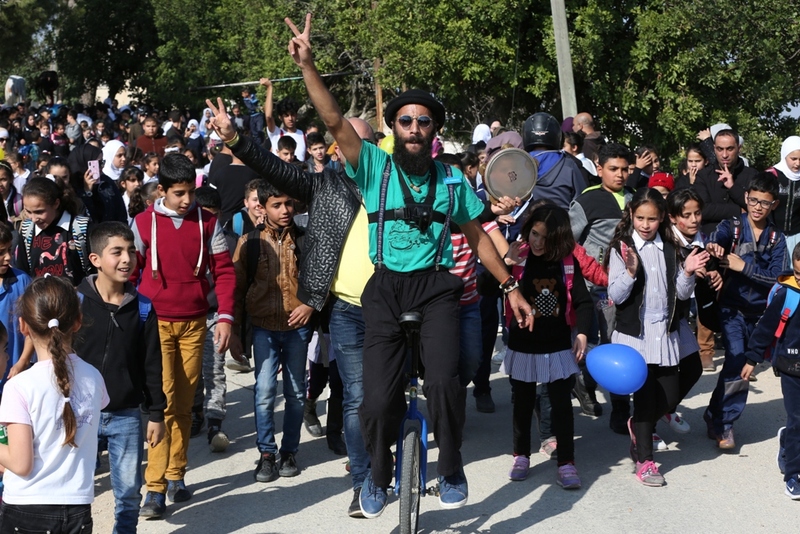 In street parades, Palestinian and European performing artists joined each other in activities such as dabkeh, break dancing and artistic cycling. 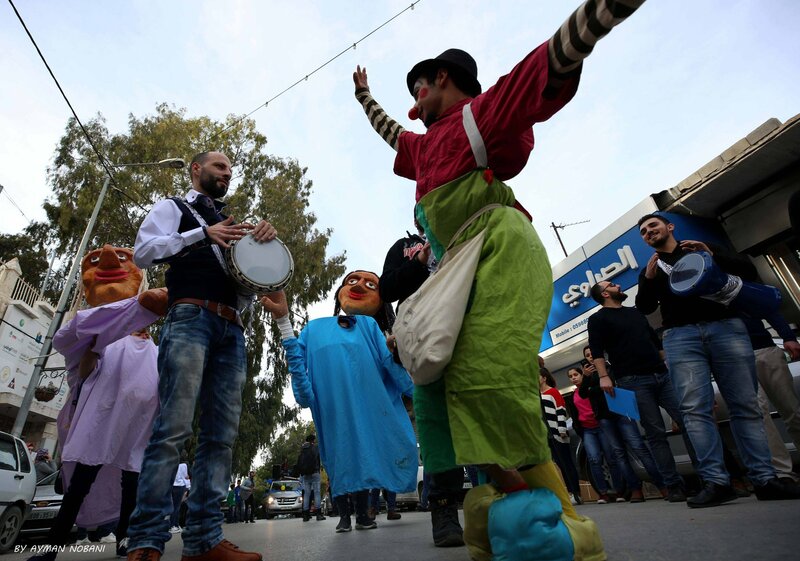 “We brought artists like Zeid Hilal band from Palestine, Sam, a saxophone player from England, Lina, a break dancer from France, a cycling group called BCX, which performed artistic cycling activities on the street, and Zaitouna Band for Dabkeh and Dance from Palestine,” Assad says. 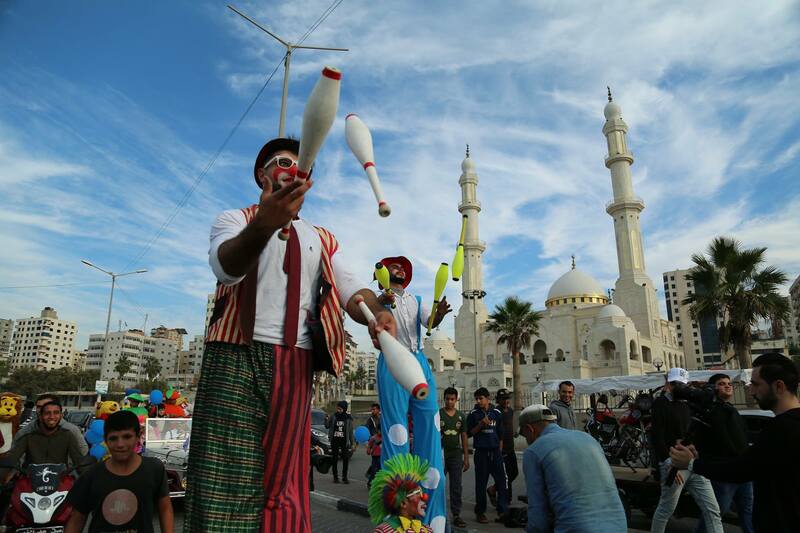 Street parade activities were fun and drew wide audiences. 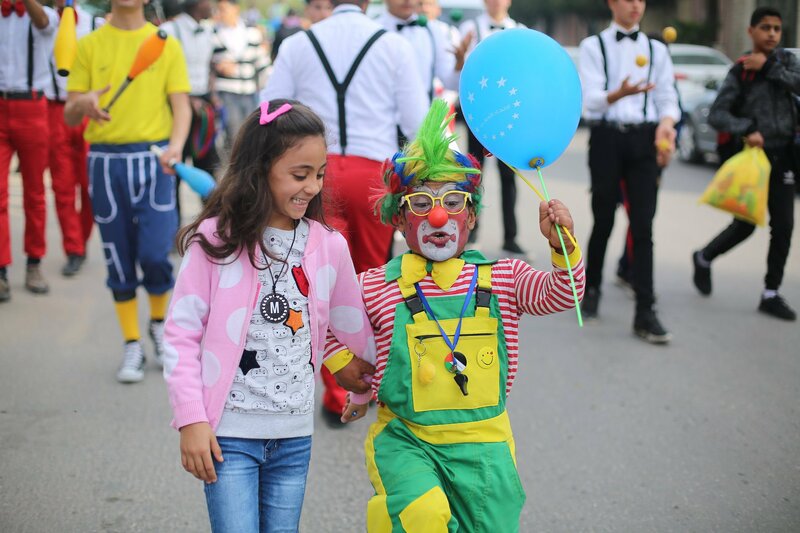 “People enjoyed the parades and more people joined along the way until we reached the end point,” asserts project coordinator Amer Daraghmeh. 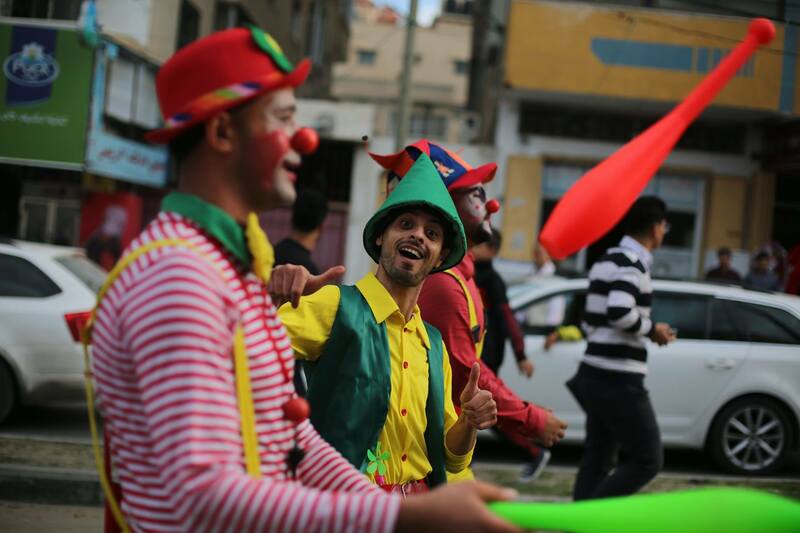 It was heart-warming to see happiness of the faces of the children of Gaza.” claims Assad. 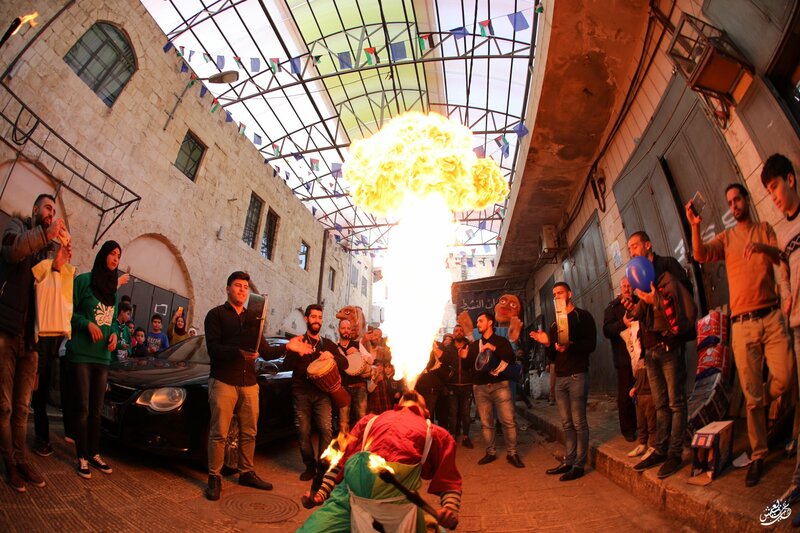 Street museums were displays of Palestinian and European paintings launched at the end of street parades. They were an effort to display art on the street, to all people. “Our goal was not to reach people interested in art, but to get the museum out of the closed rooms to the streets. We wanted people to be exposed to art, even if not by choice,” says communication officer Assad. Eight artists—four Palestinians and four Europeans—participated in the museum. They displayed 24 paintings in four Palestinian cities—Nablus, Gaza, Hebron and Jerusalem. The museums lasted for one month in each city. The same paintings and same artists displayed their work. The European artists came from Slovenia, Italy, Holland and France. Mahmoud Abu Daghash, 26, is a Palestinian artist from Tulkarem city north of the West Bank. He is a gifted painter who started painting at the age of six. He did not study art, but developed his gift by himself through practice and video tutorials. “I am driven by my love for painting. I paint every day,” tells the shy wheelchair bound artist as he introduces himself. Despite his gift, Mahmoud cannot make a living as an artist. “The life of a Palestinian artist is difficult. He cannot depend on art for living. All I can do is give art classes which do not bring enough money to live by,” he estimates. 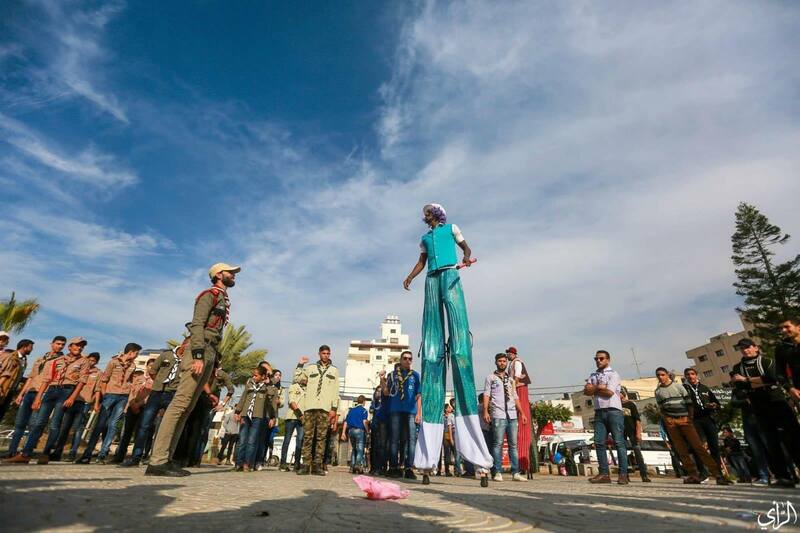 Mahmoud participated in the Nablus parade and exhibition. While he could not go to Hebron, Gaza or Jerusalem, his paintings were exhibited there. He was especially thrilled when his paintings made it to his beloved city. “I love Jerusalem but I cannot go there because of the Israeli restrictions. I am so happy a part of me, my paintings, made it there,” he adds. Another artist participating in the street museum activity was Yazan Ghareeb, 32, from Dheishe Refugee Camp. Yazan started drawing when he was 8, and studied cinematography in Damascus, Syria. Yazan works with children with special needs, autism, and cancer patients using psychodrama and art therapy. “Drawing a smile on a child’s face means the world to me,” Yazan says of the children he works with. Yazan also gives drawing classes to children, emphasising that they should draw their own things and use whatever material they like. Yazan uses various drawing techniques, the latest of which revolves around using coffee as paint. He wants people to taste coffee with their eyes as well as with their tongues. He also wanted to drive the point that a person can create something meaningful using inexpensive materials such as coffee. Yazan liked the idea of moving beyond the traditional framework of displaying artwork indoors to displaying it outdoors for everyone to see. “This way, artwork reaches the young and the old…the poor and the rich. It reaches the real world, whether people who are interested in art and know about it or not. It was a very nice experience,” he declares. Yazan was appreciative of the interaction with other artists from other Palestinian cities, as well as with artists from Europe. “Each person thinks differently and has his own message which he or she seeks to get across through their art,” adds the young artists. 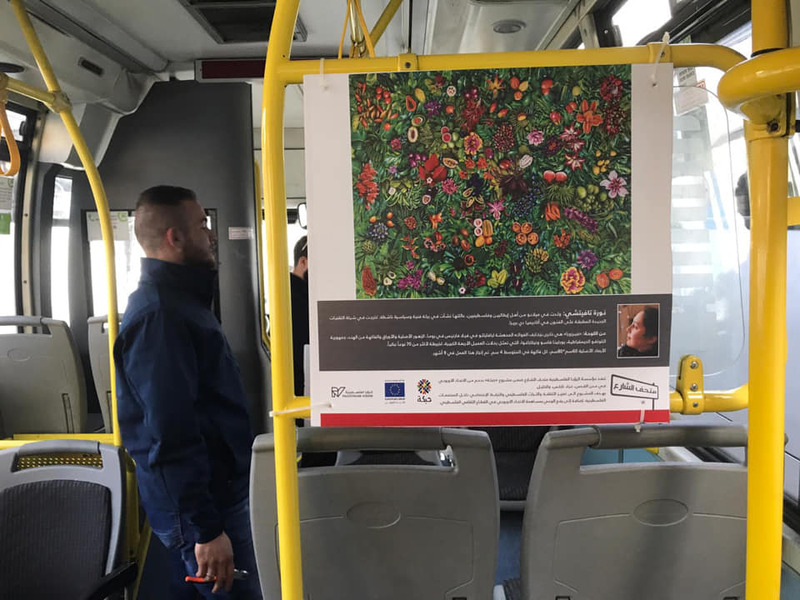 Likewise, the Palestinian artist appreciated the paintings of the European artists who participated in the project. It was nice for him to see their work, to learn new ideas and to tap onto the experiences, styles and materials they utilised. Like Mahmoud , Yazan aspires to improve his art and to reach the whole world. “I want to develop my gift and learn something new. My dream is to have an art school reaching the whole world,” he concludes. 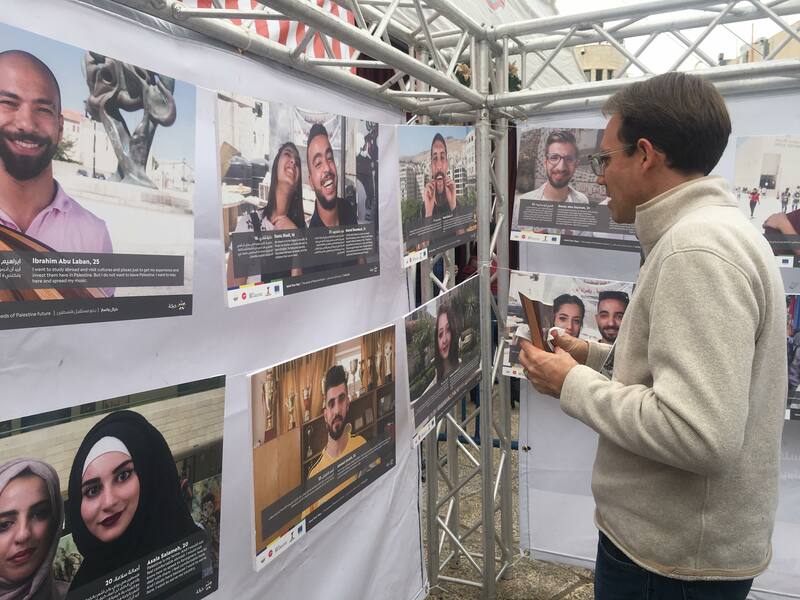 The fourth activity was producing a book called “Mind Your Gap: The Seeds of Palestine Future.” It was done by Slovenian journalists Barbara Vodopivec and Bojan Brecelj, who went to several Palestinian cities and asked participating artists about their dreams for the future. They took a portrait of each person they interviewed and ended up collecting 55 portraits with echoes about their dreams for the future. The answers were interesting and revealing of Palestinian aspirations. The book was launched during Christmas at Manger Square in Bethlehem. The thoughts expressed in the book created a debate within the Palestinian community on issues of immigration versus staying at home, as well as a range of issues such as women and social norms, youth and their aspirations, and economic empowerment and unemployment in Palestine. The project manager, Maram Rajabi, noted that Palestinian officials were impressed with the Habkeh project and wanted it repeated annually. 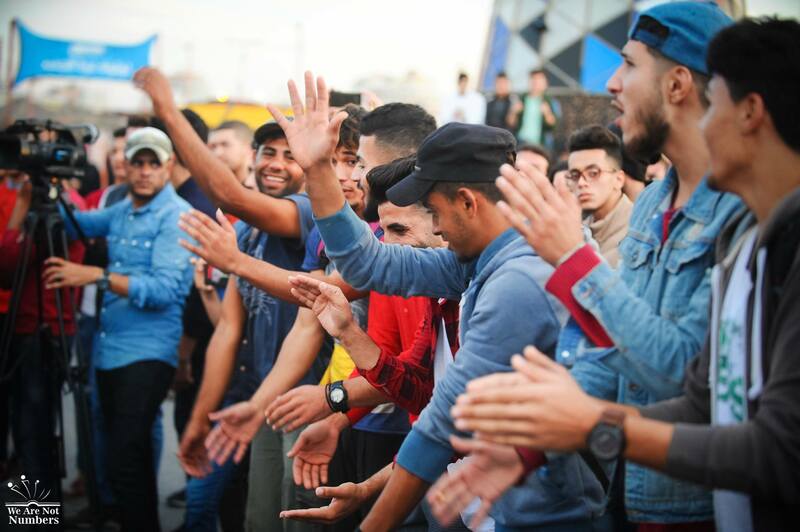 She recalled that at the end of the parade and opening of the museum in Nablus, the head of the Youth Affairs Department in the city affirmed that Palvision, in cooperation with the EU, had done a marvellous job and the city and civil society should adopt such activity and repeat it on an annual basis. “This was a testimony of the success of the project,” she boasted. The Habkeh project is implemented under the East Jerusalem Programme, which seeks to maintain the viability of the two-state solution with Jerusalem as the future capital of two states.